Mr & Mrs Roberts, originally from the UK, moved to Norway about 20 years ago and now live in town with a very small garden. With little growing space at home, Mrs Roberts describes herself as a frustrated gardener. Fortunately, they also have a larger garden on their own island. Only accessible by boat, the island could be a used for growing, however, much of what can be grown there often gets eaten by deer and moose. 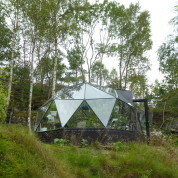 They first saw a solution for their island retreat when they saw a geodesic dome on a gardening programme. They instantly loved the idea and while on holiday in the UK arranged a visit to the Solardome showroom in Southampton. It is excellent and very well made – precision made. 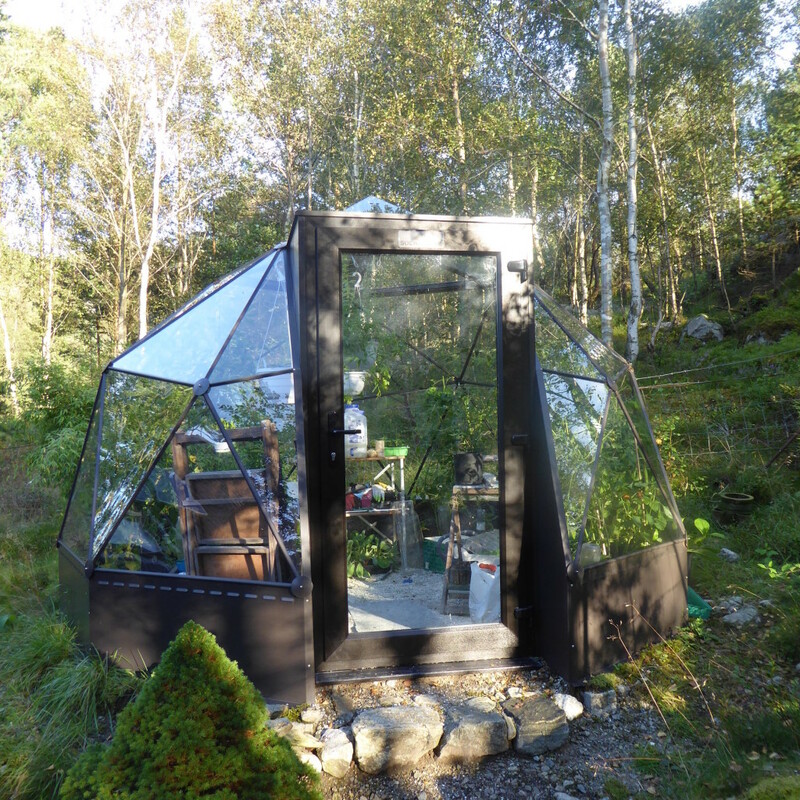 Immediately impressed by the look and quality of the domes, they subsequently chose a SOLARDOME® Pod to provide their much-wanted island growing space. The Roberts’ wanted to build the dome themselves, and so shipping, construction and quality were all key factors for them. Being in such an extreme environment, they wanted to be sure their investment in time and money was going to be worthwhile. The SOLARDOME® Pod gave them this reassurance, and was also easily transportable to their island getaway. Being the smallest dome in the range, it is also the simplest to self-build having only two different sizes of glass and struts. Looking back on the project they were about to undertake, Mrs Roberts commented: “We really liked it, but was it a crazy thing to do? – to ship it out to Norway, transport it to the dock in their Mini car, take it piece by piece by boat, and carry it across the rocks to where we wanted to build it”. The Roberts’ even prepared the ground themselves: “the hardest part was sledgehammering the boulders to create a level base”, commented Mr Roberts. Provided with a comprehensive set of instructions, it took the two of them less than a day to put the frame together. We got the frame up in a couple of hours; every single piece of glass went in perfectly. It was ten times easier than I thought it was going to be. It all went together beautifully. 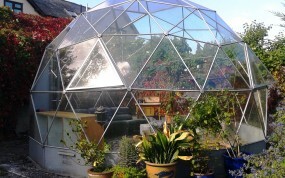 The Robert’s really appreciate the dome’s design compared to a traditional greenhouse. To have a structure which fits in with their natural and untouched environment really suited them: “Its organic shape blends in and disappears; you can’t do that with an ordinary greenhouse. It’s perfect for us” they commented. 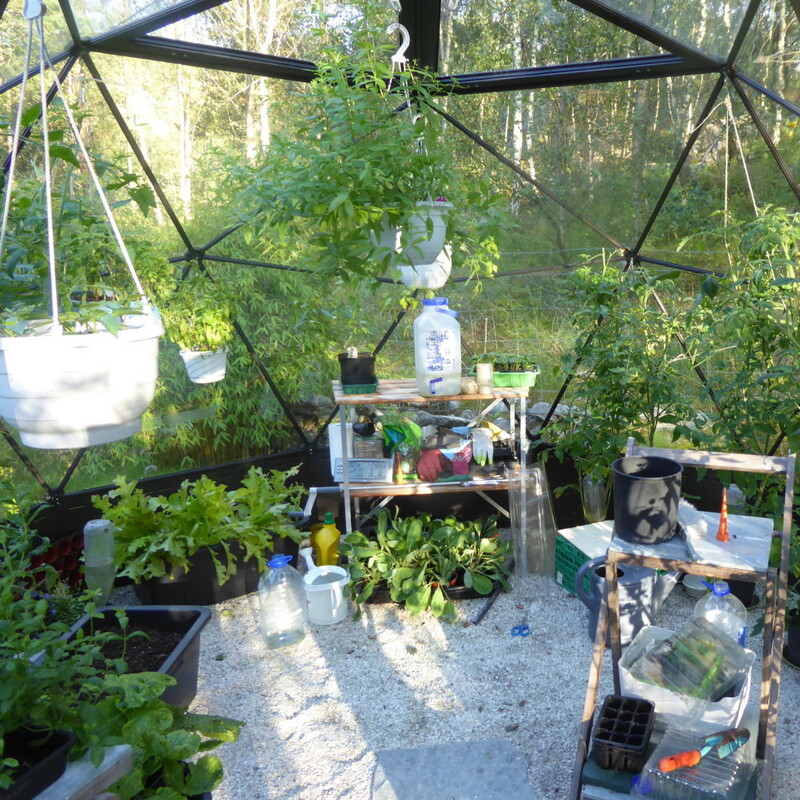 Originally chosen as a greenhouse and for the robustness of the geodesic design, the Roberts family are also enjoying their dome as a relaxing space. The other thing that we were really impressed with is how clear the glass always is. We like sitting up there in the evening and looking at the stars.